Lawyer Sally Nash getting animated at a previous Bankruptcy congress. Bankruptcy Congress founder Rosie Traill. SiN hereby confesses that the following is a shameless plug for itself and for Traill & Associates‘ annual Bankruptcy Congress, which SiN is delighted to be attending on Monday, November 14 as official media partner. 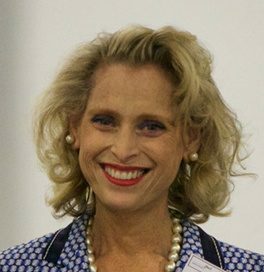 This is the fourth annual Bankruptcy Congress organised by Traill & Associates, though principal Rosie Traill has been organising and running specialist events for the insolvency profession for more than 15 years. The Congress includes interactive talks and workshops over two days focussing intensively on the key issues bankruptcy professionals encounter. No other event provides personal insolvency practitioners with the opportunity to gain exposure to such relevant experience and expertise. 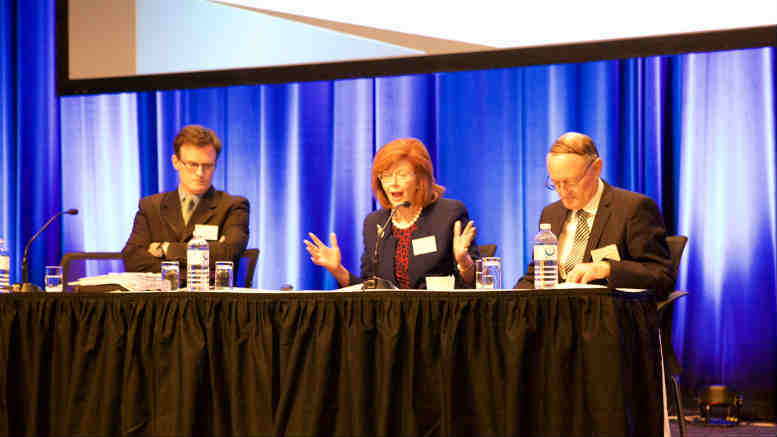 Speakers include such luminaries of the personal insolvency scene as former Deputy Official Receiver Bob Cruickshanks; former ARITA Legal Director Michael Murray; lawyers Sally Nash, Stephen Mullette, Michael Rozdal, Peter Harrison, and Karen McLean; barristers Greg Sirtes SC, Anthony Spencer, Juliet Curtin and Irina Hoskinson as well as Mark Findlay, Director Regulation & Enforcement of AFSA. There will be sessions dealing with some of the most challenging issues in bankruptcy practice. There will be a Family Law panel and discussion around dealing with joint matrimonial property. And because practitioners work hard to avoid being the subject of disciplinary processes and reviews, the sessions explaining the current and new issues in those areas should not be missed. In addition Mark Findlay will explain how the Insolvency Practice Rules will change Bankruptcy Practice in 2017 and onwards. Chairing the Congress will be former Ferrier Hodgson partner John Melluish. The Congress also includes optional workshops on Tuesday, November 15. These will consist of full-day or half-day sessions, details of which can be found on the attached program and registration form. The Congress kicks off at the Wesley Centre on Pitt Street on Monday, November 14, a venue conveniently adjacent to the Arthouse Hotel where post-Congress cocktails and sundry libations will be consumed, at your cost of course. As a special benefit for SiN subscribers, registration forms referencing SiN qualify for rates equivalent to the earlybird rates will apply until Friday, November 11, even though the early registration has officially closed. So there. Thy pluggeth runneth over. Be the first to comment on "Queuing for Traill’s Congress of Trustees"